At the age of 38, as a Clubman Trials Rider, I had a desire to convert to an Enduro Bike and start doing some adventure riding. This led to the decision that it was time to restart my training towards achieving a Motorcycle Licence. After allowing 1 CBT to lapse in 2011, due to a non-bike related injury, I redid the training with a company in Darlington Town Centre. I decided to shop about for the best ‘all round package’ to complete the rest of my training. A friend recommended Iain Corser to me. The recommendations included value for money, 1:1 training, nice bikes, good access to test centre and a good confident teacher. After speaking with Iain, over the phone, we arranged to meet up and have a chat about my needs. Iain took all of these factors into consideration, the most awkward being my unstructured lifestyle and timetable, and came up with a plan to achieve my goal at a competitive price. As my training commenced I felt at ease as Iain tried to iron out some of my trials bike traits and allow me to adjust to road bike riding. I was given time to select the training bike which was right for me, which ended up being a lovely 2018 BMW F800. Previous to the training, I did have an apprehension of how I would feel, once out on the open road. Would I enjoy it? Would I feel safe? But I can honestly say I got genuine enjoyment out of my lessons and have to attribute this to Iain’s style of training. Without pressure, lesson by lesson I became more and more confident as ‘the penny dropped’ with how to handle certain manoeuvres and situations. When Iain felt the time was right he started searching for test dates. I entered both Mod 1 and Mod 2 tests with the expected general nerves but also with a confidence that I could do this! After a few weeks training, it was time for Mod 1 and mentally prepared with my training pointers I was successful with 1 minor fault. After a couple more weeks it was time for Mod 2, slightly more nervous but Iain somehow managed to remove the intensity from the whole situation to the point where it felt almost like I was just going out for another ride. This was also a successful test with 2 minors. After having my licence for a couple of weeks now, I reflect back on the whole training process with fond memories. 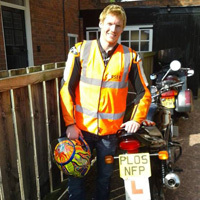 I would recommend Iain to any age or gender of person considering getting their motorcycle licence, a true Gent who I left with the thought of maybe one day it would be nice to meet up again and go for a ride without the L Plates. Iain gave me my first ride on a "big bike" and took me through the direct access Mod 1 and Mod 2. From start to finish he's been thoroughly professional and knowledgeable, calm and patient, even with a hooligan like me. I couldn't have asked for a better experience. On top of all that he's also a great bloke too. Thanks Iain, it's been a pleasure. Let me start by saying I would heartily recommend Iain and Corser Motorcycle Academy if you are considering any kind of motorbike training. Having completed by CBT with a training centre further away from Darlington, I decided to check out more local training centres, as Iain says on his website, you may as well ride on roads close to the test centre. Reading other testimonials (especially from female riders) really enouraged me to contact Iain. 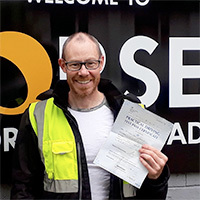 As I had limited time and wanted to complete the training and tests for both Module 1 and Module 2 (Direct Access course) in a week, it was important that Iain was willing to undertake an intense course of training and book the tests in advance. Arrangements were made very smoothly and before I knew it the time had come to start. I thought that I may have given myself quite a task when I arrived for my first lesson but Iain was so calm, reassuring and clear in all of his explanations that after an initial assessment of my riding and a debrief to discuss the plan for theweek, I thought that if I worked hard enough and followed Iain's advice and patient guidance, then I wouldn't go far wrong. I am a teacher and must admit that teaching a teacher is quite a difficult thing to do, we teachers are very critical when it comes to being the student ourselves but if I was an Ofsted inspector I would grade Iain as 'Outstanding'. The whole experience was so professional yet relaxing (apart from test times of course), Iain didn't rush me in or out at the start of lessons and, as the weather was so beautiful, I could hang around between or after lessons to sit in the sun with a cuppa, now what more could you ask? Almost a week later I am still on a high as I passed both tests with flying colours. I am sure that I wouldn't have had such great results without Iain's training so thanks a million Iain, I can't wait to get out riding. I'm someone who completed CBT over 20 years ago when learning to drive a car but then did nothing with bikes after that. 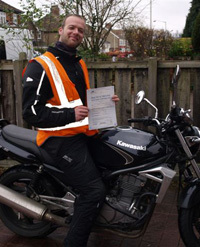 Having completed CBT again last Autumn I set about getting an unrestricted bike licence. Iain is a great teacher, and as a former teacher i feel I can say this. His one-to-one lessons are based on a calm, measured, supportive and light of touch approach and he always finds time for a funny comment or two to build the relationship. Lesson to lesson he provided follow on, building my skills. Iain knows so much that you just cannot help but soak it all in. Being so close to the Test Centre in Darlington allowed me to gain practice for Mod 1 at the Test Centre and for Mod 2 on the roads in and around Darlington. You cannot rate both these benefits too highly when combined with Iain's expertise. His is a genuinely quality operation; his bikes are in great condition (let's face it, some training bikes aren't) and his fleet is now added to with brand new BMW bikes from Cooper. It says so much for Iain that two days after delivery he had me on his brand new BMW F800R and a day later passing my Mod 2 test on it, trusting me not to scratch it (sorry about the mud from the test, Iain!) I felt superbly prepared for the test and for life on two wheels (probably a BMW); you cannot say fairer than that of Iain and Corser. After starting my motorcycle training with another provider I felt I wasn't making the progress I should have been and decided to find another training company. A short Internet search provided me with the answer after reading testimonials of other trainees and I opted for Corser Motorcycle Academy. My training really started to move on quickly and I was reassured I'd made the right choice. 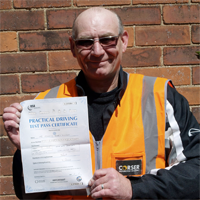 Iain is a great instructor who is clear & concise with his instruction both in the classroom and out on the road and also very understanding when you get it wrong. The one to one training really helps to build and inspire confidence in your riding too. Being close to Darlington Test Centre means you arrive fresh at the test centre on the day of your test ( my previous training provider was a 45 minute journey away). For Mod1 Training you're riding the actual official test ground at the test centre, this really inspires confidence. For the Mod2 Training you're riding the roads of Darlington and surrounding area that are likely to be used on the day of your test. Any areas of your riding that need sharpening up are explained in a clear & supportive, encouraging manner. 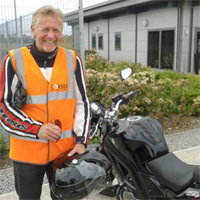 I would highly recommend Iain's professional pro-active attitude to inspire and guide you through training, giving you the confidence to pass the tests and go on to enjoy the pleasure and freedom of the open road, only motorcycling can bring. 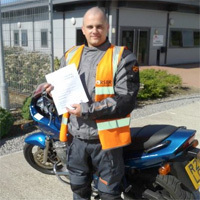 Having never ridden a motorbike before, I completed my CBT with Iain and after a very positive experience continued to have lessons and complete my A class licence. Iain has been very encouraging, patient and dedicated and has given me confidence in my riding ability so that I feel safe yet positive when out riding. I passed my MOD1/2 at first attempt despite battling with the weather conditions over the winter and Iain has been so flexible to provide lessons despite my variable shift pattern with work. I am very excited to purchase my first bike and feel that more women should give it a try. Thanks again Iain. Hi Iain, just wanted to say thanks again for getting me through my bike test, been a long time coming. Can't recommend you highly enough, if anyone asks me about bike training I'll definitely point them in your direction. Next step is to get Jan through her test. Once again many thanks,I'll bring the new bike down when I decide what to get. I just wanted to thank you for taking me from CBT to Full Bike Licence in what seems like barely no time at all. 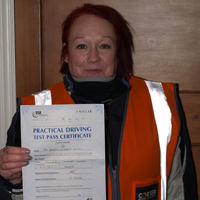 The one-to-one tuition has been brilliant and I felt fully prepared when it came to taking the practical tests. I can't say I'll miss riding around Darlington town centre, but I shall miss coming for my lesson! Throughout my training Iain communicated lesson information about road riding and the bike clearly in a relaxed way which I found easy to understand. His facility that he works from is brilliant, especially the large area he has to hand for slow control practise on the bike. I’ve served in the military for over 7 years and I’d say his teaching manner is better than the vast majority of teachers I’ve had through the MOD. 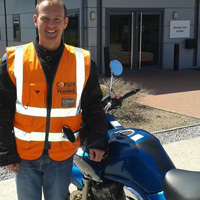 I completed my CBT with Craig who works with Iain and again he was a great instructor with a very professional manner. Corser Motorcycle Academy certainly gets an A+ from me. 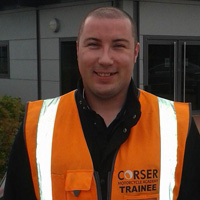 Just completed my training with Iain Corser. Amazing instructor and great guy! Great set up and very knowledgeable and more importantly, has patience! Hi Iain, just wanted to say thanks for everything, had a great time doing my bike training and tests passing both first time! For anyone else thinking of learning to ride, Iain is the guy to do it with, very relaxed one to one training and a great experience thanks. 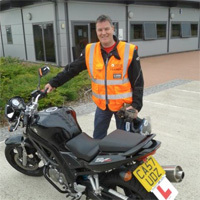 Having trained for an HGV License with another learner on the same course, I knew I had to do motorcycle training one on one. I learn better doing rather than watching someone else doing it, it's also using up your time! So I googled training, a few companies came up, a lot had group courses which I wasn't too happy with. Corser Motorcycle Academy came up, one on one training near to the test area, fantastic. Rang Iain and discussed what I wanted, advised a visit to have a look around and discussed what I wanted to do and what my previous experience was. After putting my mind at rest I booked my DAS course, explained that I had two weeks to pass all the tests! Iain said it was a tall order, but it's achievable. Training was informal, no stuffy trainer here, Iain put the training across in an easily understandable way which was great as I have hearing difficulties which makes it hard to understand what's going on, another bonus of one to one training. If you put in 100% with Iain he will put it in too, even if you have "moments". After 10 days training just a few hours a day I managed to pass a CBT, Mod 1 with 3 minors and Mod 2 with 3 minors! Train with an open mind, adopt a can-do attitude and give it 100%, with great training you will pass. Thank you so much for all your help and support, I enjoyed every minute of it, even the torrential rain lessons at the module 1 yard! Will be over for a coffee soon! Thanks for all your patience and advice Iain. Fantastic and professional set up at Corser Motorcycle Academy which I would highly recommend. Thanks again. Thanks Iain, excellent tuition, relaxed environment and thoroughly enjoyable, appreciate your time, would definitely recommend to future trainees. I would strongly recommend Iain to anyone, learning with him came with such ease and nothing was too much trouble! His teaching was very understandable and he put the course across very well. Go with Iain and PASS! I found Corser Motorcycle Academy after having previously completed my cbt with another company with whom I was less than impressed. After talking with Iain I was instantly reassured that I was in the right hands this time. 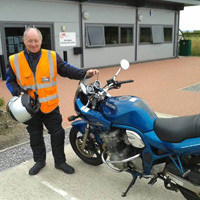 I completed my cbt with Iain on a one-to-one basis, I found it not only a better experience but it was something I actually enjoyed, unlike previously. 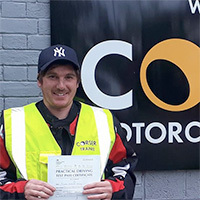 This year after a spell working overseas I once again needed to renew my cbt, this time I did not hesitate to contact Corser Motorcycle Academy. 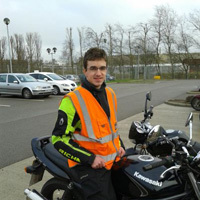 In the meantime my son had also completed his cbt with Iain on my recommendation. 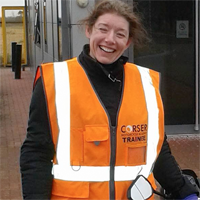 I was determined to pass my full category A licence so I booked my lessons with Corser and set about the learning journey. I have found Iain's one-to-one method of teaching invaluable, he is professional and approachable, clear and concise in his tuition and also calming as I found myself becoming more nervous as my test dates approached. Iain has been very patient and supportive and I was confident his teaching ability would ensure I was on the right track. I ended up passing both modules 1 and 2 within two days of each other! I can't recommend Iain Corser highly enough. In fact I intend to get more training on my new Honda CB650F to build on the skills I have learned already to ensure I am off to the best possible start. Thank you Iain for all your hard work! Having watched my grandad pass his test at 63 I thought well if he can do it so can I, having never rode a motorcycle before I booked my CBT with Iain. He was fantastic, he kept everything simple and easy to understand so I soon got the hang of it thanks to the 1 to 1 training Iain offers. With that under my belt I went out and got my self a little 125cc bike, as Iain recommended I held out the 6-month period until I turned 24 so I could go direct access. In that time I built up more confidence and valuable experience, I also found myself bumping into Iain at various bike meets during the summer. October soon came round and having already passed my theory test I was eager to try the bigger bikes settling with the Suzuki 600 bandit to get me though my test. Iain also worked around my busy work schedule so I was able to get the practice I needed. After a little hiccup on my first module 1 I passed on the second attempt. I then went on to pass module 2 first time thanks to Iain’s fantastic tuition. 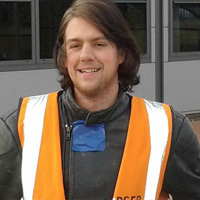 I would highly recommend anyone wanting to learn to ride to learn with Iain Corser motorcycle academy. Having decided to get my cat A bike licence back in November I scoured the internet for local training schools and was encouraged by Iain Corser's 1to1 training method. As I had not been on a bike since riding a 125 on a provisional licence and L plates more than 20 years ago I guessed the 1 to 1 focus would be much more beneficial, and the proof is in the pudding as they say. 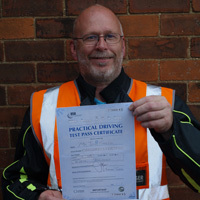 Iain's knowledge, skill and highly professional attitude combined with his relaxed easy going teaching style produced a first time pass for both modules and that in despite of the morning frosts, strong winds and bitter cold of the winter months! I am so happy I chose Iain Corser as my instructor and would not hesitate to recommend him to those of you considering instruction from a true professional. 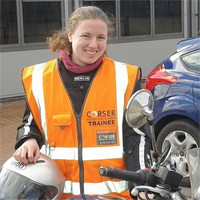 When I decided I wanted to tackle learning to ride a bike, I was drawn to Corser as the training is one-on-one, and I knew I definitely needed somebody concentrating solely on me……and I was right! Iain is a down to earth guy and a top instructor, he got me through my A2 licence first time (with no faults) and didn’t have me taking extra lessons that I didn’t need. Fully recommended!!! I was close to packing in my training after three previous attempts at Module 2 with a different training school had all ended in failure. Iain’s a top bloke and his fresh perspective on my riding highlighted some key areas for improvement. 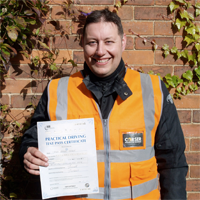 I passed my CBT with another company but was not overly impressed and was pointed in the direction of Iain Corser by a close friend who had passed his mod 1 & 2 with him and rated him very highly. I only sat on a bike for the first time in August and within 8 lessons Iain has guided me to pass both my module tests although he was never pushy but also never held me back. Iain is friendly, committed, professional and extremely knowledgeable. He has helped in absolutely every aspect of my riding. The fact that you get one to one tuition is invaluable and I came back from every lesson feeling more confident and having many more skills. Iain will give you exactly what you need and are looking for if you are serious about riding and looking to learn. In a strange way I'm disappointed to have now passed and not be out riding with Iain each week. 10 out of 10 in all areas for Corser Motorcycle Academy. Many many thanks to Iain for your time, patience and knowledge. I am overwhelmed to have passed my test today. I would recommend Iain to anyone who lives in the North East and Teesside area and wanting to pass their test. I live in Hartlepool and the 40 minute drive, once a week was well worth it. He made me feel at ease and confident, even on a bad day. Thanks again Iain you’re a true gent. Having ridden on a 125cc I was looking to progress up to a bigger bike and I found the instruction provided at Iain's Motorcycle Academy to be thorough and patient. 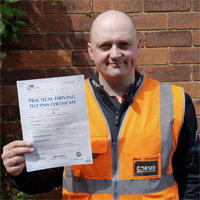 He was able to match his availability to mine and offers 1-2-1 tuition every lesson using recognised test routes for Module 2 and the test centre to do the mod 1 training. It was clear at this point that I had chosen the right training school having trained previously for DAS at another training provider that used a car park for Mod 1 practice and a radar gun to measure speed. There are other schools in the area that have closed down so you do have to be careful to choose who to go with as some do not offer the same level of guidance. 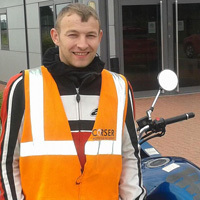 Being only minutes away from the test centre there is no time wasted, which I think adds to the effectiveness of the training; I'd recommend Corser Motorcycle Academy to anyone." Learning to ride a motorbike has been a goal for myself for a few years, but it was only this summer when I finally decided to go for it. Having never ridden a motorbike before, I searched for a local school coming across a few including Corser. What really made me decide to go with Iain were the 1 to 1 training policy and testimonials. Iain approached my training in a professional, friendly, structured manor, which enabled me to progress quickly. He tailored each session to my needs based upon the outcome of the previous lessons. Iain has a choice of bikes to use at all levels of training, which enabled a novice biker (like myself!) 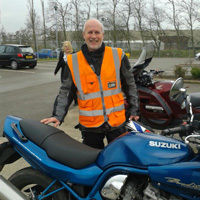 to experience the difference between bikes, and helped me understand what I would like to buy when I passed my test. I was able to pass my Mod 2 after only 10 hours of practice, which wouldn't have been possible without the quality tuition throughout my training. 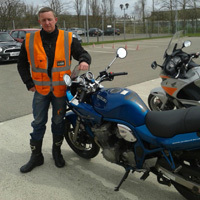 The overall experience with Corser Motorcycle Academy was excellent! I can't fault it! 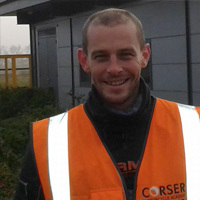 I am really glad I read the testimonials on this website and chose Corser! After years of thinking of going for my licence I eventually went for it. After numerous phone calls and checking out websites I decided on going with Iain, The reasons behind this was, good website, one on one training, and because he is based in Darlington which is the test area for both mod 1 and mod 2, so the training routes are also the test routes.After having the first lesson I knew I had made the right choice, Iain just makes you feel so relaxed, he doesn't dwell on the bad points and makes you see all your good points, It was a pleasure to take lessons with Iain and I can't praise him enough. I've been out on my bike a few times now and love it, just looking forward for some warm days next year so I can have a proper ride out. I'll pop in when passing sometime to say hi. 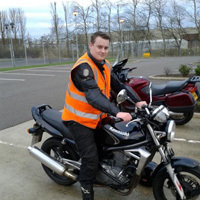 I contacted Iain about my module 2 training with just two months before my cbt expired. I had had bad instructors in the past and his testimonials helped me decide to contact him, and quickly I realised I had made a good choice here. In little over five weeks he had me test ready and I passed first time. Iain's approach to each student is individually tailored and always constructive, I honestly feel I am a safer and more confident rider than I was before. You will make a lasting relationship with this guy, I can't recommend him highly enough! "I had previously trained with a company in Middlesbrough. The bikes were literally falling apart, the instruction was minimal and you would often ride with two or three other students. I felt this significantly limited my learning and was not at all surprised when I failed my Module 2 Test. My confidence was rock-bottom and I even thought about giving up on my dream to ride a bike.  I searched for a new instructor and found Iain's website. The one-to-one service he offers (at a cheap price compared to most other 1:1 training schools) was everything I hoped it would be. Iain delivers excellent training in a relaxed and informal style which made learning so much easier. He will, of course, let you know what areas you need to develop but this is again done in his relaxed, calming manner - the information he gives is clear, supportive and constructive. Unlike the other trainers I have experienced he will give you simple, informative advice and tips on how to improve as a rider that really work! Iain is based close to the test centre so all my training was on test routes, which was really reassuring when it came to my actual test. Iain quickly helped me rediscover my confidence and thanks to his teaching and advice I have now passed my Module 2 Test. Not only that, but I now feel I can go out on the road, be confident and above all, safe. I cannot recommend Iain highly enough. " I used to have motorbikes 30 years ago in my teens and never passed the test at the time. Having considered taking up motorbikes again, I did find the thought of the going through the stages a little complicated, offputting and time consuming. 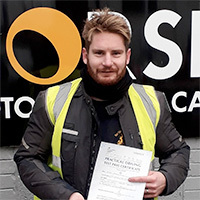 With this in mind I opted for the services of Corser Motorcycle training, as this would commit me to getting through all of the stages to gain a full motorcycle licence. 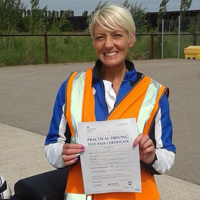 I achieved all the stages in a relatively short period of time with the help of Iain, who not only wanted me to pass the test but also more importantly wanted to give me the skills and knowledge to keep myself safe once road legal. I would strongly recommend anyone to use his training programme. 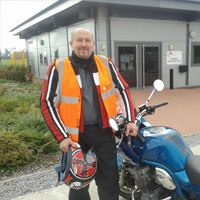 Iain was the first instructor I contacted about motorcycle training. After meeting with Iain, we went ahead with the CBT followed by module 1 and module 2 training. 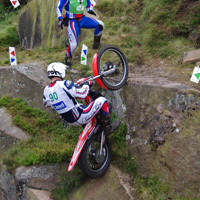 Confidence was built for the module 1 test as the off-road test circuit was used for the training - using the official test centre for the training helped immensley for test preparation and in becoming acustomed to the bike for on-road use. Module 2 training progress was monitored and logged so that improvements could be made for each successive lesson. Lessons were always scheduled keeping the learner's convenience in mind. Having passed both tests with Iain, I'm glad I chose him. Thanks to Iain for making a long-awaited wish for a licence become a reality. I had been trying for around 12 years to get some bike training but working away and lots of moves always meant I never had the time. I finally managed to get both the time and money together in the same place and contacted Iain to see about an intensive course. I am so glad that I did! All the lessons are planned around your availability and are one to one from the beginning to completion. Under his guidance I progressed from a 125 to 500 to 600 cc bike quickly, gaining confidence all the time thanks to his constructive advice and support. Each lesson started with a brief on what we would be doing and the points we aimed to cover. Iain continued to guide throughout the lesson via the headset; helping build confidence all the time. The module 1 test is actually trained for on the test centre yard meaning that when the test day arrives you are already comfortable and familiar with the course. When you start on module 2 you find you have already ridden the test routes with Iain. This all helps build your confidence when the day of testing arrives so you can get the pass you want. 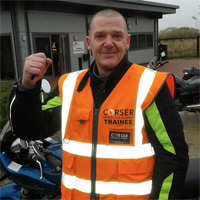 If anyone is considering riding a motorbike then the Corser Academy is the place to go. 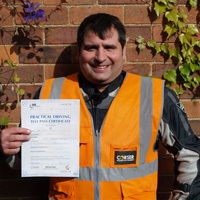 Under Iain's guidance you will get your pass to a lifetime of happy motorcycling. After a long time away from motorcycling, I returned to it a few years ago. 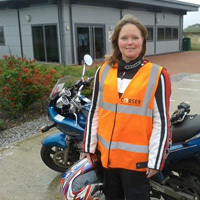 Although I had no initial problems I always thought I could do with some tips to improve my riding skills and keep me safe on the road. The problem being I never really rode enough each summer to improve. I found Corser motorcycle academy on an internet search engine. I got the most competitive price for CBT and 10 hours of big bike lessons. Another advantage was that the lessons were one to one with two different Category A bikes to choose from. 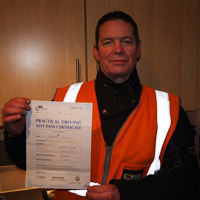 Iain is a very professional instructor who knows exactly how to carry out the training with maximum effect. I would like to thank Iain for coaching me in all aspects of my motorcycle training from the CBT right through to Mod 2 test. 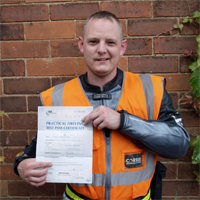 Iain gave me the confidence to take me from a complete novice right through the necessary stages to achieve my full motorcycle licence . Iain at all times shows a high degree of professionalism providing encouragement, support and excellent communication skills. I also believe he really cares for his students and as a great coach knows how to get the best out them whatever their abilities, strengths or weaknesses. I consider Iain a good friend to me and I am proud to have ridden with him. I am quite a keen sportsman and have won titles in my disciplines however I rank the passing of my Mod 2 as the best of my achievements to date. I could only have gained this with Iains help and would strongly recommend any prospective motorcycle rider to work with Iain to achieve their goals. 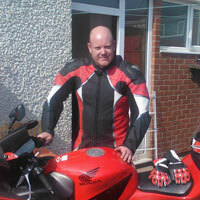 I contacted Iain about training for my mod 2 with little riding experience or time to train. Iain was immediately positive and flexible to accommodate my ability and availability. I found his knowledge and instructional technique superb; he was calm, confident and always constructive. This in turn allowed me to secure a good pass on my test and more importantly, allowed me to feel safe and confident on the road. I also found his prices to be better than others and it was worth absolutely every penny! 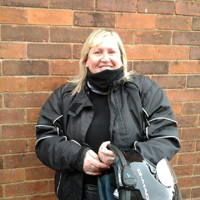 A good friend encouraged me to train with Iain Corser after she had had a very positive experience at his riding school. Iain immediately puts you at ease with his easy going informal attitude. He is very professional and his knowledge of riding and motorbikes is second to none. I can genuinely say that I enjoyed every lesson I had and was very impressed by his flexibility in booking times. The training was focused around my needs and this helped me relax and since the training is in Darlington near the test centre there isn't a minute wasted. Thanks Iain." 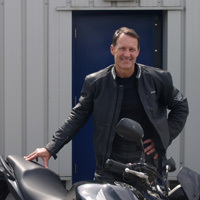 Having no prior experience of motorbikes, apart from riding pillion 35 years ago (age 16), I can strongly recommend the Corser Motorcycle Academy, due to the professional and patient approach, 1:1 tuition and being able to adapt lessons to suit my needs, fitting in with my work schedule, and finding an approach that suited me as an individual. Iain is flexible and prepared to try out new approaches, and consequently gets great results. It is also a great benefit to be able to practice Module 1 in the test centre, and Module 2 on the test routes, so that everything feels familiar. I am now looking forward to putting my newly acquired skills into practice. Thank you Iain. I had been to a number of Motorcycle instructor schools where I would turn up and get a different bike and different instructor each visit. Sometimes bikes would breakdown. I got fed up with this so looked for a better instructor school. 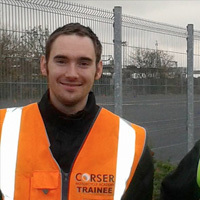 Hopped on to Google and found Corser Motorcycle Academy in Darlington. Corser Motorcycle Academy is a world apart. Properly maintained and reliable Motorcycles, structured plan, dedicated instructor/mentor that tailors lessons that are geared around what I needed to improve upon. 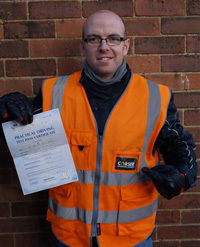 During my time with Corser Motorcycle Academy I have managed to get a Clean Sheet pass for both Module 1 and Module 2. I originally approached Iain to take me through my initial compulsory basic training but so enjoyed working with him on that day that within 10 hours of further lessons I have passed my full bike test. The one to one tuition has been invaluable, allowing each lesson to be carefully geared to my own personal needs. Iain has a constant eye on developing excellent riding skills and his encouraging and relaxed but always professional approach has inspired me with a great deal of confidence. 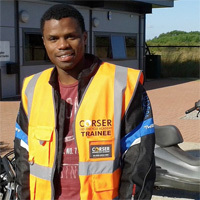 I would definitely recommended Corser Motorcycle Academy to anyone who is interested in learning how to ride. Thank you Iain, it has been a great experience. I would just like to express my gratitude to you for all the help and encouragement you gave to me during my lessons with you, I have heard some real horror stories when it comes to bike instructors so was over the moon when I found one as good as you. 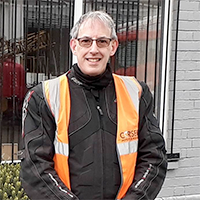 At no point did I feel out of my depth or forced on at a pace that was too fast just to get through my test, now as a solo rider I feel very confident and very safe and that is definitely due to the manner you give your instructions. Thank you once again Iain and rest assured, I will be giving your details to anyone who asks if I know any top notch instructors! 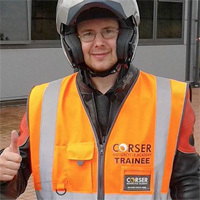 I would definitely recommend Iain Corser to anyone wanting to learn to ride a bike. Iain works with you on a one to one basis, making the learning experience so much better and easier than the other schools around. Iain is a great guy, easy to get on with and knows exactly what training you would require to get you ready to test from the first ride. His prices may cost a little more than some other schools but the training provided by far surpasses other schools. You would not regret learning with Iain! I cannot speak highly enough at the level of training I received whilst out riding with Iain. He gave me the confidence to believe in myself and at no point tried to push me along at a pace that I wasn't comfortable with. In my opinion the one on one training is far more learner friendly than going out in a group. I also think that being able to ride the actual mod 1 course at the test station (not all trainers do this) helps take away some of the pressure come test day, as you have already familiarised yourself with the course. I would not hesitate to recommend Iain to anyone, as with his help and knowledge he got me through both mod 1 and mod 2 tests first time. So a big thank you again Iain, and I will be back for my advanced rider training! I came to Iain looking for an intense course as I only had one summer to prepare before moving away, within 10hours of training I had passed, all thanks to Iain. 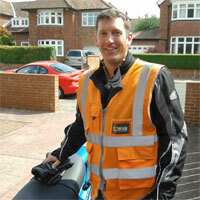 His training is professional and clear, he knows what you want and will help you with all aspects of motorcycling. 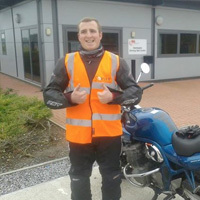 I feel very fortunate that Iain could help me join the motorcycling world, his training isn't just professional its fun! I would highly recommend Iain for training, he takes the time to learn who you are and what you need which I found very helpful. 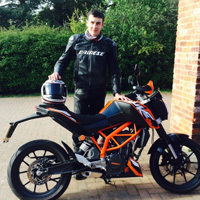 If you're looking to start motorcycling then go with Iain, in my opinion he's the man to train with. Many thanks Iain! "After years of meaning to get a license ticked off my bucket list I decided to crack on! I took my cbt with a large training school in Drlington but you are trained together in a group with riders of all abilities and I wasn’t really impressed by their coaching methods....so I passed the cbt and decided to wait till summer this year before I continued... Whilst googling for phone numbers I came across Iain’s Website and started reading his testimonials as you are now ! so I contacted Iain, had an assessment and he told me I should be ready in under ten hours...he was bang on. 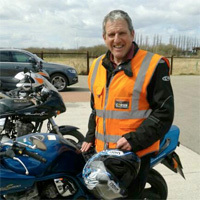 Iain is a great instructor, very flexible, easy to get on with, approachable, and he inspires confidence....much needed for mod1 and mod2 test! and in these tough financial times I challenge anyone to get better value for money, I paid as I went along with each lesson, the total cost was well under other companies das quotations. I can’t thank you enough Iain...thank you. 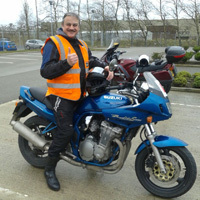 I decided on a challenge this year to get my full bike test after over thirty years since I last rode a bike, luckily I found Iains name on the DSA list and was instantly impressed on knowledge over the phone and then on the CBT course which is far better to be on a one to one basis. 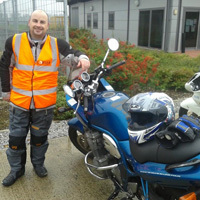 Any way over the next few months Ian has been very helpful with his experience and knowledge which I think has improved my awareness as a car driver as well as a motorcyclist. 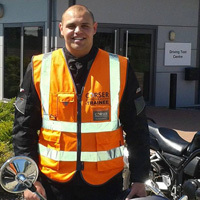 Any one wanting to go for the bike test cant go wrong in choosing Iain as your tutor. Iain big thanks for everything. While looking to get back on a bike after over 20 years I found Iain Corser's academy. The first thing that attracted me was the one-on-one tuition. I didn't like the idea of doing a CBT and other training in a group (like other schools) knowing that the instructor couldn't just focus on me. I chose Iain because of this and after reading the testimonials on his web site. 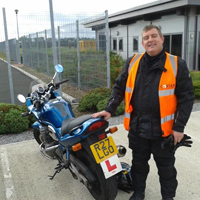 After completing my CBT and then going for my first ride, Iain knew exactly what it would take for me to get my full licence. He told me I would need around 10 hours and boy was he right ! I trusted Iain's judgement and listened to his unbelievable knowledge that he has gained over the years. 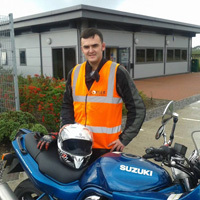 I would recommend Iain to anyone wanting to complete their qualification to ride a motorbike. I passed my MOD 1 with no faults and passed my MOD 2 with only 3 minors first time. I don't think I would have got through this without Iain's expertise and knowledge. People, this man will get you through it no matter if you're a beginner, or like me, not ridden a bike in a long time. Thank you Iain and I hope to have that ride out with you sometime in the future. When booking lessons I was impressed with Iain's willingness to fit in with my shift patterns or work weekends. 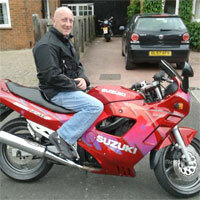 I can definitely recommend one to one training with Iain to anyone interested in learning to ride a motorbike . I felt that my training was of the highest quality. Iain set clear objectives at each stage, explaining what was required and providing detailed feedback with plenty of opportunity for me to ask lots of (invariably stupid) questions. The training was paced appropriately to suit both my availability and my riding ability, and I felt that effective use was made of the time allocated for each session. Iain's positive attitude and occasional witty banter maintained an excellent learning environment, and starting from scratch I managed to pass all elements of my direct access training in under 12 weeks. 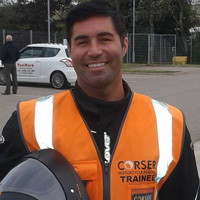 I thoroughly enjoyed my motorcycle training with Corser Motorcycle Academy. 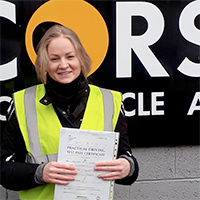 I feel that the training provided was excellent in terms of quality of instruction and value for money, and I would have no hesitation in recommending Corser Motorcycle Academy to aspiring riders of any age. I passed my cbt with another school closer to home but wasn't impressed. I then found Iain on google and have got to say I'm glad I did. So professional and as a driving instructor this was appreciated. I am now enjoying the highways and byways of North Yorkshire on two wheels after a 30 year absence. Thanks Iain, brilliant one to one tuition, would recommend you to anyone. Iain Corser is ace! He rescued me after my original riding school ceased trading after I'd paid for unlimited lessons! He polished my riding in two short lessons and I passed FIRST TIME, I can't thank him enough. I highly recommend his riding school. I've just completed my bike training and test after years of wanting to ride a bike thanks to Iain Corser. 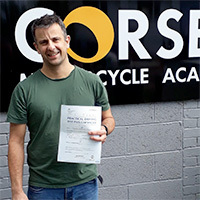 It was a great experience and I would have no hesitation whatsoever in recommending Iain to anyone looking for a first class instructor to do your bike training and test. 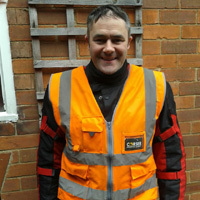 He will provide you with all the information you will ever require, he is without doubt the YODA of bike instructors! The training was structured around my work and other commitments, making it easy for me to complete the course. I found him friendly, approachable, down to earth and a true gentleman. He provided me with all the safety equipment I required. I was 100% satisfied from start to finish surpassing all my expectations. Thanks again, see you on the road. I passed my mod 1 and 2 with Iain, he is a great instructor very easy to get along with, patient and tolerant when you get it wrong. I would highly recommend Iain to anyone.. He also makes a good cup of tea. 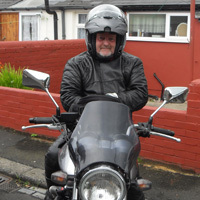 In one of those 'things you should do before you die' moments, I decided at the age of 63 to learn to ride a motorcycle. After gaining my CBT and theory test pass I bought an old Honda CG125 and spent many happy hours practising the art of staying safe on the road. When buying parts for the Honda I came across one of Iain Corser's flyers and as I was ready for proper tuition, gave him a call. I was immediately impressed by his professional approach and after an assessment lesson we discussed a Direct Access course which fitted in with my work schedule. After a series of very enjoyable lessons and despite sometimes lacking confidence and some pre-test nerves, I passed both Module 1 and Module 2 at the first attempt. I am certain this was largely down to Iain's patient, calm, high-quality one to one tuition and that, being based in Darlington, all riding was on actual test routes. 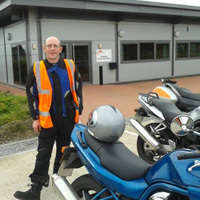 Iain gave me excellent one to one tuition and got me through Mod 1 and recently I passes Mod 2, being based very close to the test centre and all the test routes, none of your time is wasted as all of your riding is done on them. 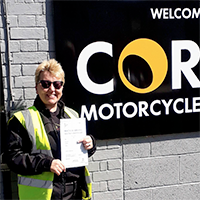 I would strongly recommend Corser Motorcycle Academy to anyone wanting to learn to ride or just brush up on the skills they already have, whatever your age! 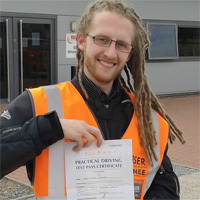 Iain has a friendly positive attitude, the patience and skill needed to get you your full uk licence. Well done Iain, keep up the good work. I would like to say a big thank you to Iain for getting me through my motorcycle test so quickly. Iain managed to fit lessons in when they suited me, including weekends, this was a huge help as I am studying full time at college. 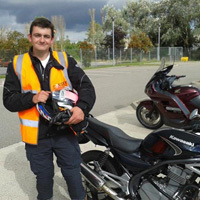 Being only 17 years old, learning to ride a motorbike on the road was a daunting thought, but Iain immediately put me at ease and gave me the confidence and skills that I needed to ride safely on the road. 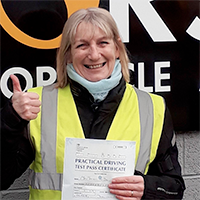 I found the whole experience extremely enjoyable from start to finish and when it came to taking my test I felt very confident that Iain had given me all of the training I needed to pass. 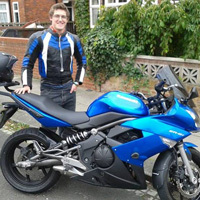 I would not hesitate to recommend Iain to anyone wanting to pass their bike test whether they be a total beginner or an already experienced rider. I have always been interested in bikes and with the new age rules drawing closer I felt that it was time to take the next step up from my 125. Iain allowed me to do this by providing excellent one on one tuition. After only a short time on the road with him he managed to pick up on any areas I could improve upon and gave me the skills I needed to pass my test and keep safe on the road. I would highly recommend him to anyone wanting to learn to ride or brush up on there skills; because of him I managed to pass both modules without picking up any minors. 10/10! Before returning to University and filling my time with lectures and study, I was hoping to finish my full motorcycle licence in Chester. However, it was not to be, and time began to run short. It seemed impossible to finish my training and pass the test in the very little spare time that I had, especially as the days became shorter and colder. What I needed was an individual, self-employed, motorcycle instructor who could organise a lesson with only hours of notice. Unlike others, Iain was able to fit this category. He was able to work his timetable around mine, to fit a lesson in whenever I was available, and therefore allowed me to successfully pass with my limited availability. Having begun my initial training elsewhere, Iain quickly organised a mock test in the first lesson. He was able to effectively recognise several errors during our first lesson, while also pointing out certain movements which were unnecessary (i.e. the chicken dance). The use of his one-to-one evaluation, recording and discussion after each lesson allowed accurate improvement. Additionally, the ideal location enables learners to practise the DSA test routes, while Iain offers expert advice and unique one-to-one training. On top of all that, he establishes confidence in new riders while teaching with a sense of humour. 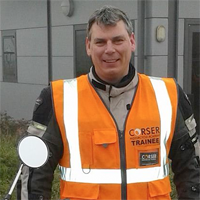 I would highly recommend Corser Motorcycle Academy to anyone wishing to learn quickly, safely and sufficiently. 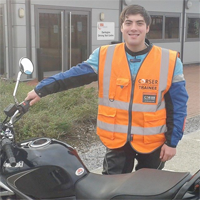 Iain is a patient, caring instructor who takes the time to explain how to improve and master your skills to be the safest rider you can be. I did not and will not hesitate, to recommend Iain to all my friends and family, knowing they will be in safe hands. I always had a dream to become one of these cool guys riding on two wheels. My best friend is one of these guys and after one of his visits with his beloved BMW GS 650 and brave offer to have go on it - I have fallen for it. Due to my busy life I could not get my tests done until one day I made the decision to go for it. And I made the right decision to choose Corser Motorcycle Academy after a little bit of research online. It was a real pleasure to have my training sessions led by Iain. His exceptional one to one riding lessons and straight approach to my riding helped me to build up my confidence very quickly. Also all his friendly and honest assessments after each lesson highlighted the pro's and con's of my riding and led me towards passing all my tests first time. But what I appreciated the most was Iain's flexibility to work around me and my busy life. Iain never said no to my sometimes, extreme lesson time requests. No matter if it was early in the morning, late afternoon or weekend, he always found a session suitable for me. I recommend Corser Motorcycle Academy to everyone who has the same dream as me. I recently returned form overseas where I first spoke to Iain via email. He was very quick to respond and had organised everything for me before my return. This for me was a very good first impression. When I finally met Iain I found him to be a very down to earth and approachable man with a good strong handshake. Iain's tuition was impeccable and not only did he teach me to pass my full uk licence in less than 2 weeks, he also opened my eyes to the bigger biking world with various conversations about ride outs, exhibitions and biker friendly cafes etc. While riding with Iain he was very re-assuring and never lost his cool if silly mistakes were made. He would never dwell on a problem but rather coach you through it without any negative feedback, this is a true sign of someone who is great at what he does. Iain's prices are the best I found in the Durham County and I have already recommended his services to 2 of my friends. 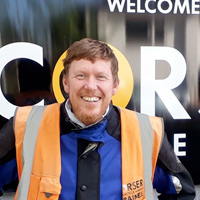 So if you are looking for a relaxed fun learning experience with expert tuition and conversation to match, Corser Motorcycle Academy is the only choice for you. Cheers Iain. I am writing to say thank you for your time, effort and patience over the past couple of months, Corser Motorcycle Academy came highly recommended and now I know why, I wish I'd heard about you sooner, I'd have been riding a 500cc before now, I was adamant I couldn't ride a bigger bike (i had every excuse in the book) I'm not sure how you got me on the ER-5 and riding it within a couple of lessons, but I can say I never felt under pressure and everything seemed to progress naturally. I am absolutely buzzing after passing my motorcycle test this week and have clocked up 445 miles in 3 days, I can't thank you enough Iain, and I wouldn't have achieved it without your one to one training, enthusiasm and encouragement. You have the patience of a saint. I wouldn't hesitate to recommend you to friends!! 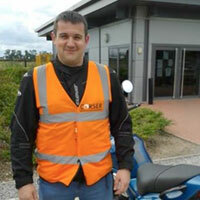 I would just like to say a huge thank you to Iain for getting a complete novice from CBT to Mod 2. The lessons were bought as a Christmas present so it really was just pure luck that I ended up with Iain as my instructor. Iain provided the bike and all the equipment, and most importantly for me, a friendly and knowledgeable instructor who could put even the most nervous rider at ease. For someone who works full time the flexibility of 1- 1 sessions was brilliant, allowing me to learn at my own pace at a time that suited me – Iain really does do anything he can to meet your needs. I would and have recommended others to Iain, I really can't say thank you enough. I wanted to take the CBT and move through to complete the Module 2 test in the shortest time possible. Having spoken with Iain, who pointed out the pro's and the con's of this, I was certain his positive and flexible approach would help me achieve my goal. One of the major benefits was the one to one tuition, which isn't offered by all schools, this ensured lessons were focussed entirely on my needs. 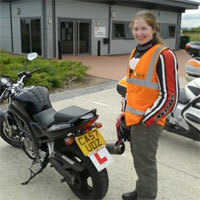 I thoroughly enjoyed the lessons and was delighted to pass the Module 2 test only a week after the CBT. 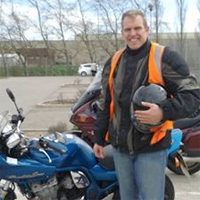 I would not hesitate to recommend Iain for anyone who wants to learn to ride. My next choice is trying to decide which bike to buy! 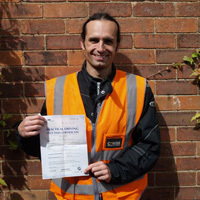 With Corser Motorcycle Academy I was able to pass both sections first time and with extreme confidence. From day one of training I was able to have one-on-one training sessions which was the most important thing for me. With the one-on-one training sessions in mind; I was able to receive direct training and development meaning the concentration was on me and me only resulting in less lessons needed to get up to the standard for passing and road riding. I am happy with the end result and feel that I have received a very cost effective training course and also Iain has gone out of his was to give me some outside help where needed for free, not only this but I also feel extremely confident on the road which is the main priority for my future riding on the road, and have also made a life long riding buddy in the process. Thanks Iain! Riding under Iain's directions I was able to sail through my Mod1 and Mod2 with ease and first time round. The care and attention thanks to one-to-one tuition were extremely helpful and were great for boosting confidence. All in all riding with Iain was a great experience that I can recommend to anyone looking for an instructor who's full of enthusiasm and helpful. Thanks again Iain. 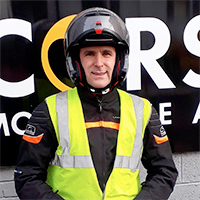 I was recommended to Corser motorcycle academy by a friend and could immediately see why, Iain's knowledge and experience as an instructor are second to none and immediately put me at ease. 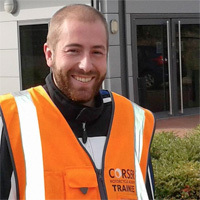 I completed all parts of my motorcycle tests with Iain from cbt to direct access and his instruction gave me confidence and the skills needed to succeed if I had to do it all again or required any additional training I would not hesitate to go back to Corser motorcycle training. "I conducted my DAS training with Iain in the spring of this year. Like any online advertised service you take your chances, however I hit the jackpot with my choice. Iain's approach and instruction is of the highest standard and he immediately puts you at your ease which then gets the best out of you on the bike. Even after I dropped his shiny new 125 on my CBT he didn't bat an eyelid and just calmly explained what I had done wrong! Iain also works around your daily timetable which was great for me with a busy work and home life. I passed my module one with a clean sheet and my test the following week with 2 minors after the completion of my DAS training package with Iain, proof indeed of the level of his instruction as the only time I had ridden before was when I was very young and around a field! Having been away from riding for a very long time and having my motorcycle entitlement disappear from my license with no other option than to retake my test I decided to take a friends advice and employ the skills of Iain Corser. I found him to be patient and professional and having a great ability to put me at ease, with the result being that I flew through all the tests and am the new proud owner of a full motorcycle license, all be it again!! Full marks to Iain Corser and I would fully recommend his services. 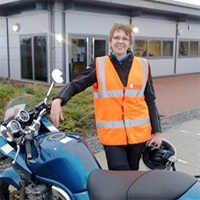 When I decided that passing my bike test was on the 'Bucket List', and pretty high up there at that, on the recommendation of my son I contacted Iain. Right from first contact he instilled confidence and encouraged a positive attitude and approach. 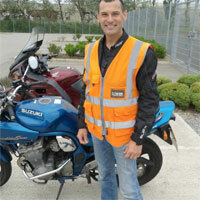 He is knowledgeable, patient and very, very good at what he does as well as being an excellent motorcycle rider. Spend 20 minutes following Iain, watch closely and you will learn a lot without him having to say a word. 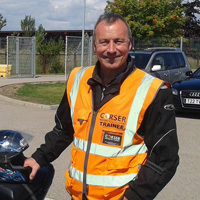 So here's the thing, if you want to not only pass your test, but also be a better all round, safer rider and really understand what's happening on the road and how it affects you as a motorcyclist, then go and see Iain Corser, sign up, mount up and listen. You will succeed. 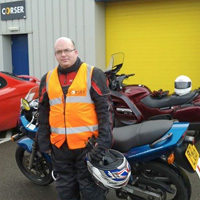 Having lost my motorcycle entitlement somewhere in cyber-space I contacted Iain Corser for advice on training. From start to finish this gentleman is a pro, nothing was too much trouble for him. I'm now the proud owner of a full licence (again!) and a 1300 Pan European and can't thank Iain enough. I can recommend Iain Corser for his patience and understanding. 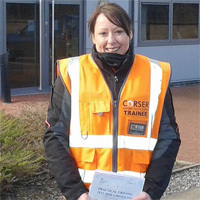 Earlier this year I completed my Direct Access Course with Corser Motorcycling Acadamy. Searching for the right training school was rather difficult as there were several to choose from in my local area. I decided to give each of them a telephone call. Corser Motorcycling Academy was by far the best choice. From the many I rang Iain was the first to properly listen and not just sound like a salesman. I was offered suggestions and given a tailored training package specific to my needs. Having last rode a 125cc 13 years previous I was a little rusty, however I felt at ease as there was no pressure and lessons were at a pace that I felt comfortable with. With Iain's 1 on 1 training methods I soon advanced, passing both my Module 1 and 2 first time. It really helped using a training school based centrally in Darlington. I became familiar with the Module 1 test area and regularly practiced module 2 test routes. It was also great that Iain was based only a short distance to the test centre. All in all I would recommend Corser Motorcycle Acadamy to everyone, whatever their experience. 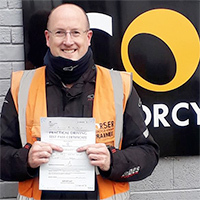 "Corser motorcycle academy was a great school to learn at, Iain was a great tutor, no mess, no fuss, he got the job done and was straight to the point and was happy with my results on both mod 1 and mod 2, both pass first time.